Aveeno Body Wash - I bought this body wash in a double pack from Costco and it seems like I've been using it for years and it just hasn't ran out! I'm not going to be buying this again. It smells ok in the bottle but when mixed with other product for example a Lush bubble bar or bath bomb it smells horrible. 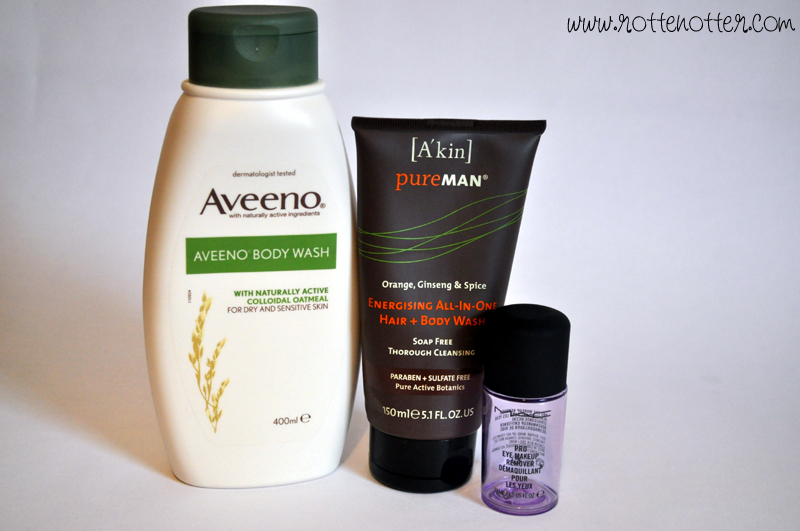 A'Kin PureMan Body Wash - This however is lovely, it smells nice and works well with other products. You can read my full review here. Mac Pro Eye Make-up Remover - Sad to see this little bottle empty. Anyone know if I can add this to my back to Mac collection? You can read my full review here.